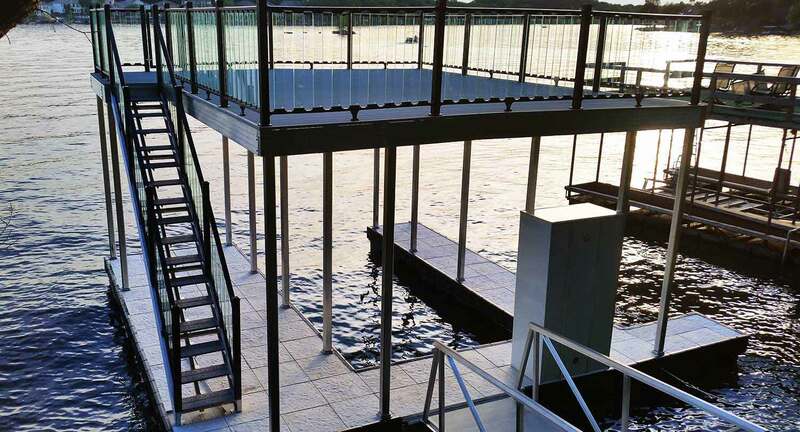 The end result is a quality job completed on time and on budget. You’ll receive the best from our trained and experienced staff. Let our skill & experience work for you and your project. 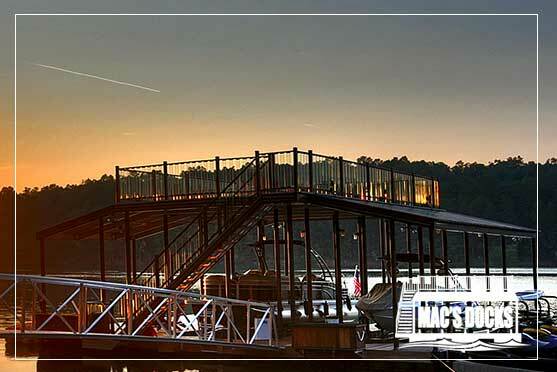 For over 18 years, Mac’s Docks has been building high quality structures. 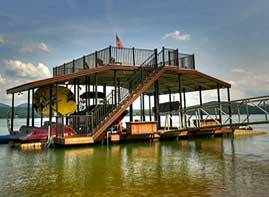 It is a family owned and operated business located in North Central Missouri on Thomas Hill Lake. 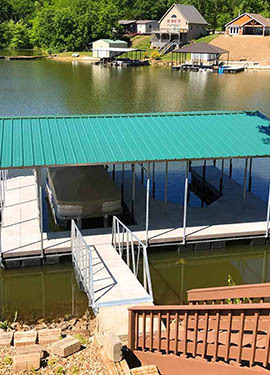 We provide low costs to the customer from our low overhead operation. 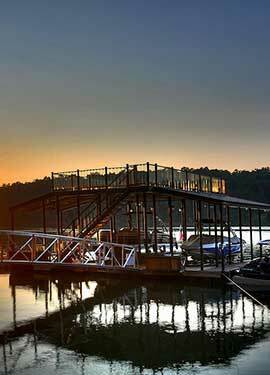 Mac’s docks promised we would always operate with a quality foundation of unwavering ethics and quality workmanship. We are willing to travel for your business and delivery or re-pair needs. 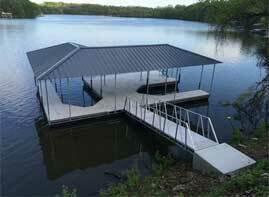 Our dock frames are an all steel frame design. The framework is all hot dipped galvanized. 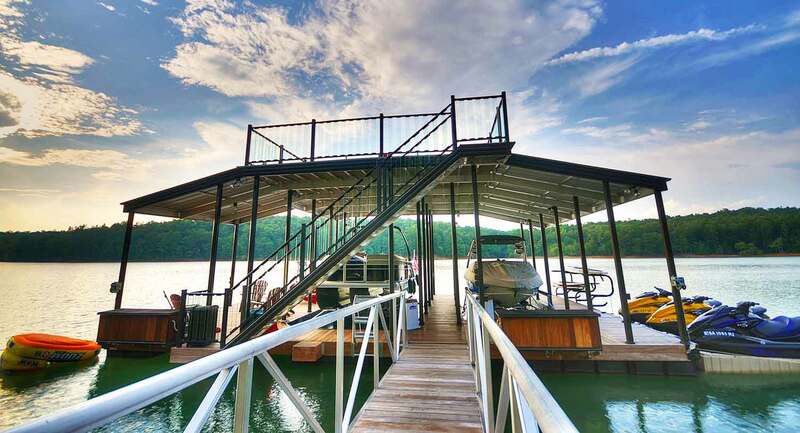 In addition to steel frames, we also offer all aluminum versions too. 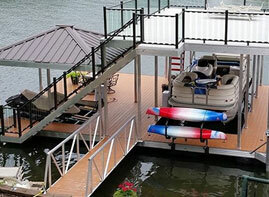 The floats we use are encapsulated floats that carry a 15 yr. warranty. 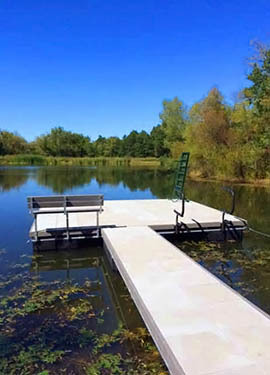 We build floating docks of any size for ponds or lakes. 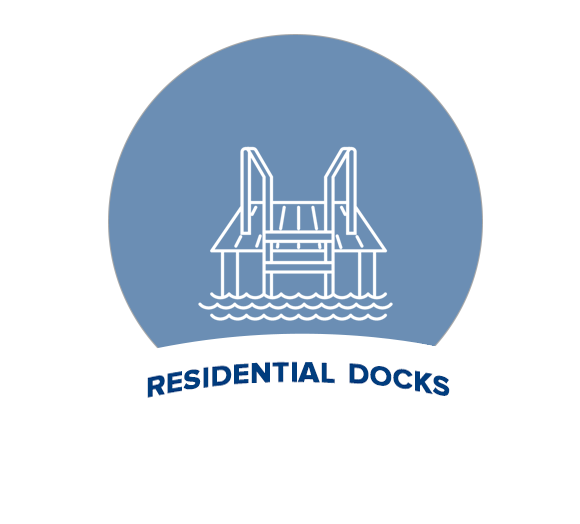 Also we handle your dock repair needs, re-foaming needs, additions, or roof add ons. Please take a look at some of our recent sales and feel free to contact us with any questions you may have. Jearmy, Thank you for your professionalism. Unheard of these day. 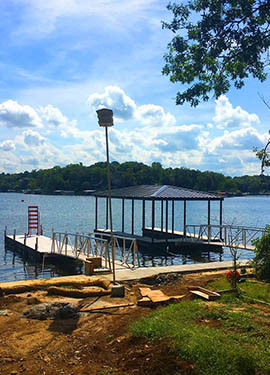 Thank you for your help with our dock at Lazy Acres. We love it! My new dock looks great ! 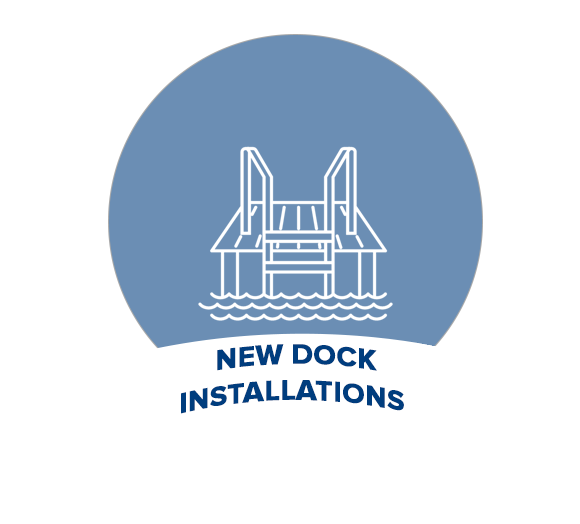 When you want a great experience in dock buying and service, give them a call. Thanks again! 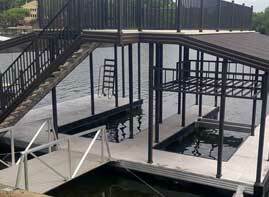 We provide expert custom dock installation and service. Let’s discuss your project today.